2019-01-15 by Nataly filed under AgiliWay. We, in Agiliway, are convinced that excellent service starts with professional and engaged employees who are ready to demonstrate discretionary behavior in their work. This is why we devote much time and resources not only to the processes of selection and hiring, team building events and celebration of success, but also, to competency development of our employees that is an important prerequisite of job engagement. 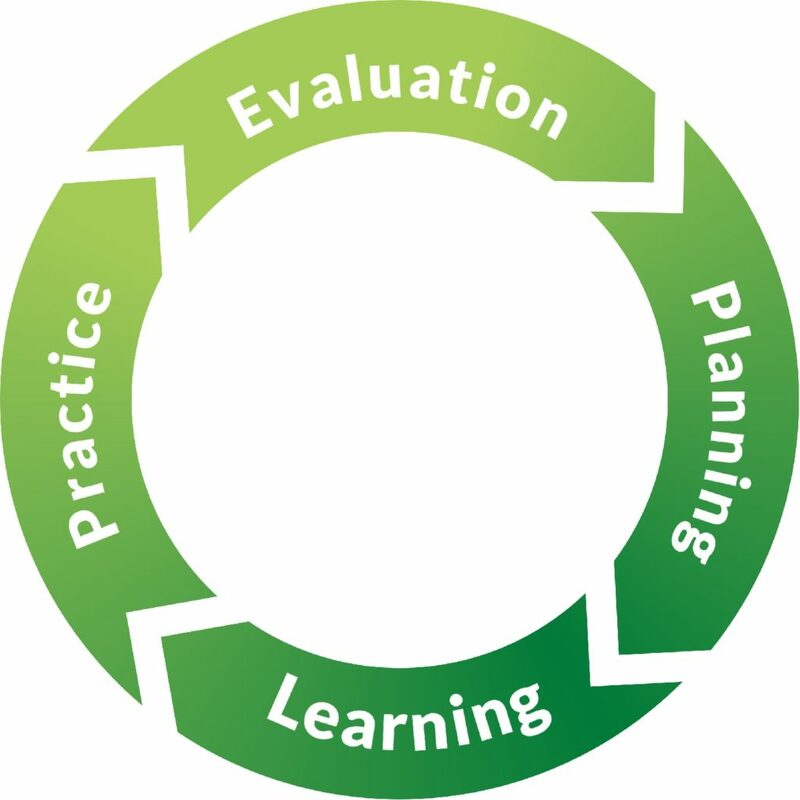 The competency development has 4 consecutive stages: Evaluation, Planning, Learning and Practice. The first step towards developing our engineers’ competencies is objective evaluation of their current knowledge and skills. Agiliway owns a Competencies Model which is a standard defining what knowledge engineers must have and how well they should master a skill to rise to a new level of expertise and receive higher remuneration. For each role (e.g. developer, QA) and each level of expertise within a role (junior, intermediate, and senior engineer and a technical leader), there is a list of required competencies along various knowledge areas with the indication of how well an employee should master a corresponding skill to demonstrate talent development. For example, to pass an internal certification for a particular level, one will have to be an “expert” in one knowledge area, but it will be enough to be “competent” or know the required minimum in another. Of course, the expectations rise with each new level. After a lead or a manager defines the engineer’s level on each of the specified skills, he determines what competencies they still need to develop to move to the next level. Experts help engineers set learning goals for the following 3-6 months. Such period is chosen because it allows an expert to evaluate the ongoing and planned projects of the company and advice on the arias, in which an employee can then get a hand-on practice. HR specialists monitor the process to make sure all the aspects and all the employees are taken into consideration. provides professional tutors of English who conduct one to one and group classes helping employees develop stronger language competencies. The classes are not only free for the employees, but they are also counted towards the employees’ working time. To develop a skill, engineers need not only a theoretical knowledge, but also the experience of applying it on the job. This is why the next important step in competency management is practice. Our engineers work closely with technical leaders who determine where they can practice the newly acquired skills. Gaining practical experience our engineers can consolidate new knowledge and skills and become even more motivated to develop further. All in all, we are happy to recruit the best people, offer competitive salary and put high priority on competency management making sure our talents progress with us. This is a part of the company’s philosophy, as we are truly convinced that human resources are the only competitive advantage that cannot be copied over time. If you want to become a part of Agiliway, please, see who we are looking for right now.